If you enjoy concerts as much as I do, then I highly recommend attending a FREE concert during the 2019 Epcot International Flower & Garden Festival. 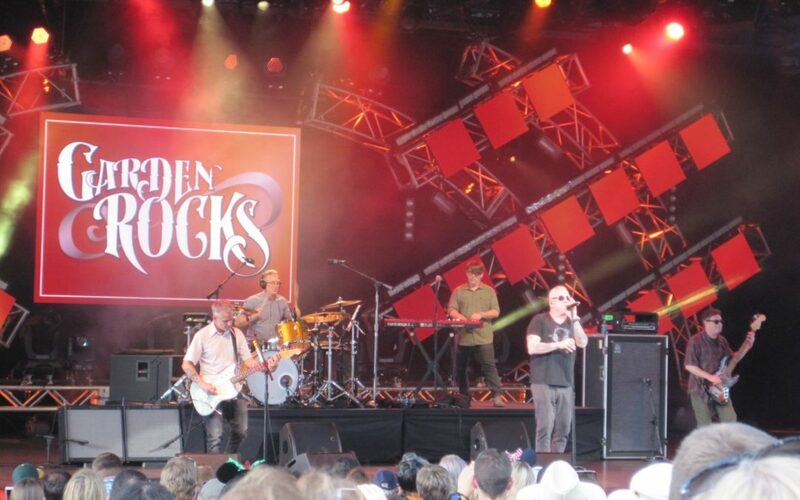 The Garden Rocks Concert Series is presented throughout the entire festival March 6 – June 3, 2019 at 5:30pm, 6:45pm and 8:00pm. The performers are all popular groups from the 60’s, 70’s, 80’s and early 90’s. 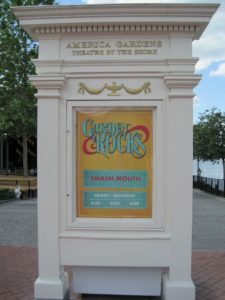 The concerts are held at the America Gardens Theatre by the American Adventure Pavilion in World Showcase, Epcot. 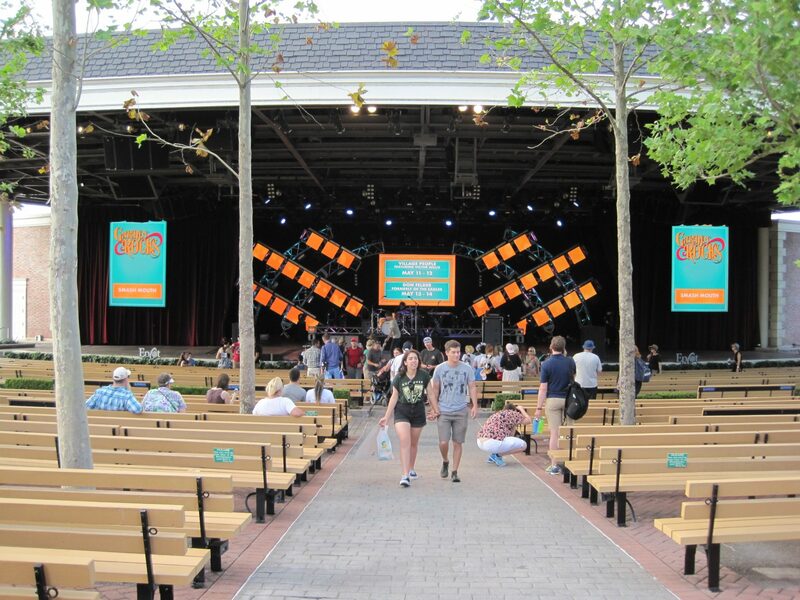 Admission to the concert is free with your Epcot ticket and all ages are welcome to attend. NEW for 2019 – the concerts will be 7 nights a week! 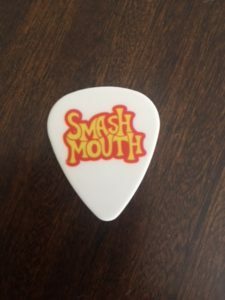 This week I was lucky enough to see Smash Mouth perform. It was a beautiful evening to attend a concert. The venue is outside, and has nice views of the World Showcase Lagoon. Smash Mouth played for just over half an hour and performed some of their greatest hits like All Star, Walkin’ On The Sun, I’m a Believer and Can’t Get Enough Of You Baby. 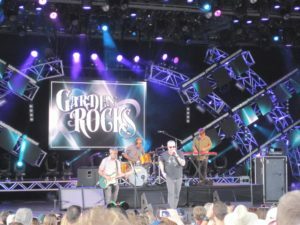 I was really excited when they sang Road Man which is my favourite Smash Mouth song, but judging by the reaction of the crowd, was not one of their more popular hits. 1) Walk-Up / Wait in Line – This is what I did. I decided to attend the 5:30pm concert. I had walked by the theatre earlier in the afternoon around 3:30pm and already some guests had taken seats. However, I was easily able to walk into the theatre about forty minutes before showtime and be seated about five rows back in the middle section (great seats!). This is where it can get tricky. The popularity of the band will determine how early guests will show up to be seated. As our concert was going on, I could see the line outside the theatre begin to build for Smash Mouth’s second and third concerts of the evening. When I exited the theatre, the standby line was about 6 guests wide and went all the way back to the Garden Railway miniature train and village display in the Germany Pavilion! That is a lot of standing and waiting around, (more popular performers will draw an even longer line starting earlier in the afternoon). For this reason, some guests choose to partake in the Garden Rocks Dining Packages. 3) Enjoy the concert from outside the amphitheatre – The concerts are quite loud. As long as you are near the bottom of World Showcase you’ll be able to hear the songs. There is also the option to stand on the walkway between the American Pavilion and the theatre. 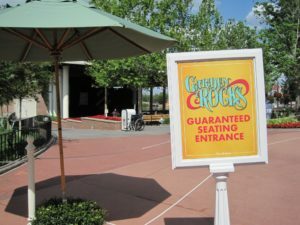 Cast Members will clear the sidewalk and move guests along if they are blocking the path, but they do allow about three rows deep of standing spectators. So if you enjoy a group and just want to watch them for a song or two, this may be your best option. 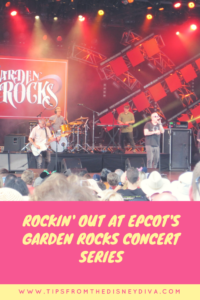 4) Passholder Dedicated Seating – Annual Passholders have the opportunity to obtain wristbands for dedicated seating for the Garden Rocks Concert Series performances Friday to Monday. Distribution begins when Epcot opens and continues while supplies last or until 4:30 p.m. for the 5:30 p.m show, until 5:45 p.m. for the 6:45 p.m. show or until 7:00 p.m. for the 8:00 p.m. show. You may pickup the wristband in the Fountain View Hallway behind Club Cool. There are many factors that make each decision the right decision for your family. For me, I’ve always been able to attend the concerts without having to pay extra for the Dining Package. I’ve been able to walk into the first show and sit down between forty five minutes to an hour before showtime, or waited in the standby line no longer than maybe an hour for the second or third show. The last concert of the evening is quite often the least busy in my experience. By the time 8:00pm rolls around, guests are starting to scout out their spots around World Showcase Lagoon to watch IllumiNations: Reflections of Earth, the nighttime fireworks display and history of our planet shown nightly at Epcot. Diva Tip: After the concert, I let the majority of guests leave the theatre. I then walked towards the stage to get a few photos. There were two other families that made their way to the front near the stage who were pointing out the instruments to their children. At that moment, the roadie for the band came back on stage to set everything up for the next show. The one family were able to ask him a few questions about the band and their touring schedule. The roadie then took some picks off the microphone stand and tossed them out to all of us! So, if you are a huge fan of a band, make your way down to the stage at the end of the show while everyone else is running out of the theatre to get to Frozen Ever After – you might just luck out with a little bit of pixie dust!